AED Wall Cabinet. This junior cabinet is perfectly sized for smaller AEDs like the Philips HeartStart Onsite. 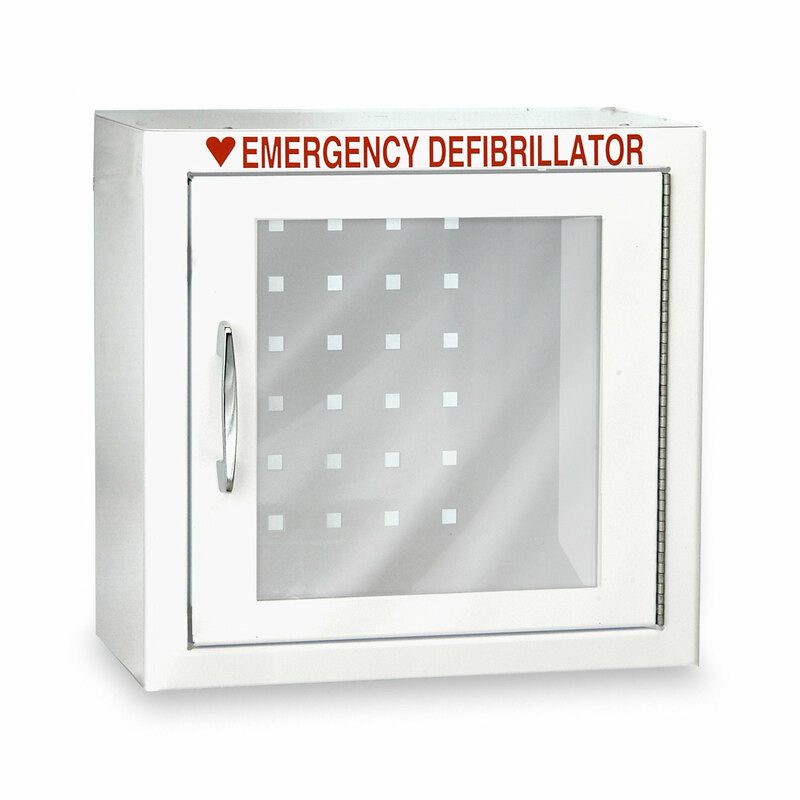 Just like larger cabinets, the sturdy metal construction protects and prominently displays your AED. Great product that was easy to assemble. The cabinet was spacious enough to hold the AED and some auxiliary materials. And it was at a reasonable price as well. Our Emergency Management Captain said he likes the AED cabinets and has no complaints. I purchased an AED for the home a few years ago and found it was always stored in a drawer. It was time to give it a good home. I wanted a unit that would not be too big, and this unit was perfect. It houses one AED, manuals, and a CPR kit nicely and looks pretty neat. Just what I needed. Very well built, easy to read instructions, a perfect fit!